This is a great fast side dish to add to almost any meal. Whisk soy sauce, honey, and red pepper flakes together and set aside. Heat coconut oil in a skillet on medium heat. Add kale and sautée with a drizzle of water so that kale begins to wilt. 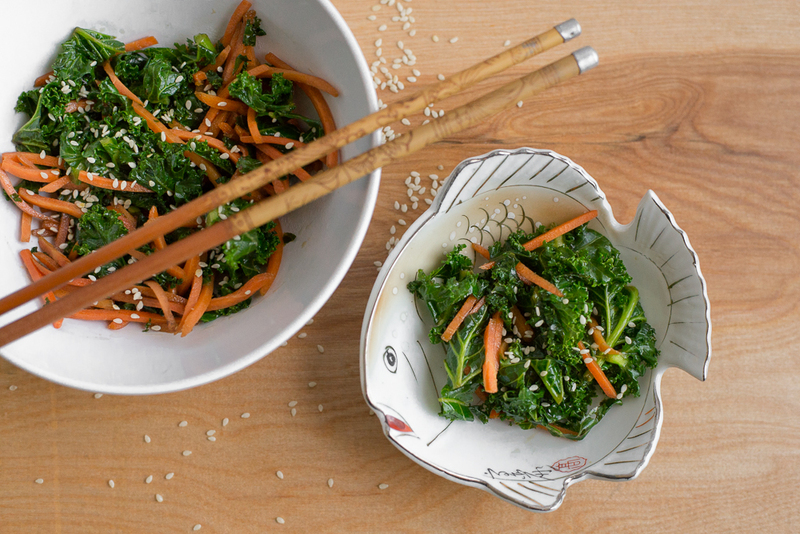 Add carrots and cook an additional 3-4 min, adding soy sauce mixture a little at a time until kale and carrots are softened and seasoned to taste.